Here’s a link to Washington Free Beacon article posted today. 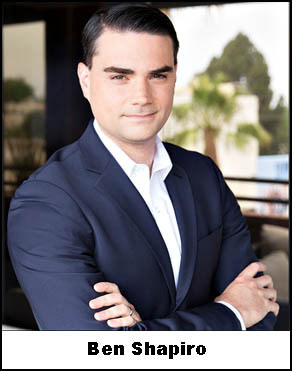 Somehow I suspect that Shapiro would have been welcomed with open arms if he could dribble a basketball, if he had promised a large endowment to the athletic department, or if he had assured the Gonzaga pearl-clutchers he would say nothing nice about President Trump. a life of opportunities. We need to educate our educators- they need to teach both sides -not just the far left rhetoric. We all pay for the educators salaries, insurance and retirement accounts. We should be able to change the direction of the education system. One sided lawyer school … hope none of those graduates make it to the bench.